Conor McGregor is one of the most famous names in combat sports, but he enters his comeback bout as the underdog. This is because he is up against unbeaten wrestler Khabib Nurmagomedov. One prominent fighter believes Nurmagomedov “will kill” McGregor at the highly anticipated UFC 229 event in Las Vegas. 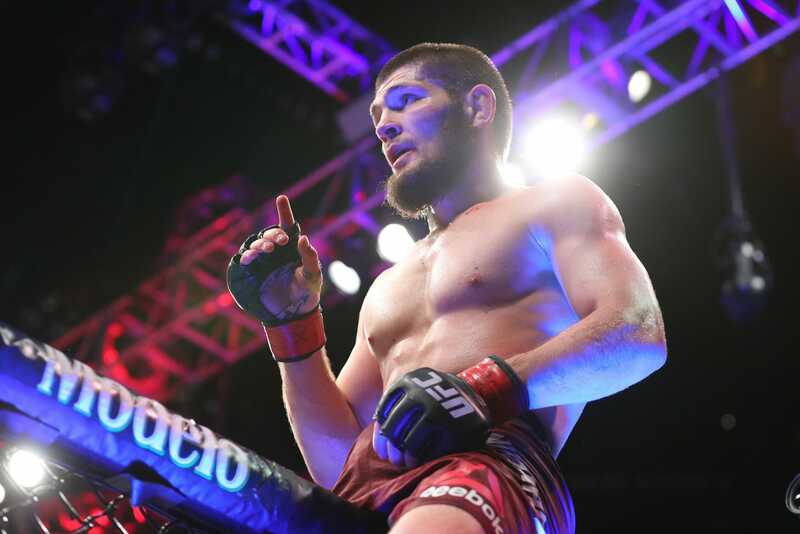 And he is not alone: Other fighters also tip Nurmagomedov to succeed when the pair trade blows in October. Conor McGregor may have been the first same-time double champion to ever grace the UFC, but after two years away he appears to be returning to the sport as the underdog against Khabib Nurmagomedov. Three fighters are already tipping Nurmagomedov to handle McGregor – with a former UFC heavyweight champion even going as far as to say Nurmagomedov “will kill” the Irishman. McGregor has not fought in a UFC octagon since his 2016 knockout victory over Eddie Alvarez, a win that saw him add the UFC lightweight championship to his honour roll. Since then, he started a family with his partner, Dee Devlin, made his boxing debut against Floyd Mayweather in a 10th-round loss in 2017, and has been sentenced to five days of community service and sent to anger-management classes after storming a UFC press conference in April. McGregor was seen on video attacking a bus carrying athletes, smashing a window and leaving two fighters requiring hospital treatment. But he’s now cleared to fight, and he is set to compete at the highly anticipated UFC 229 event at the T-Mobile Arena, in Las Vegas, Nevada, on October 6, taking on the unbeaten Nurmagomedov – the fighter McGregor apparently was looking for on the UFC team bus earlier this year. According to three prominent fighters, it’s a fight McGregor will lose. That’s because Nurmagomedov “will kill” McGregor in the octagon, one fighter said. 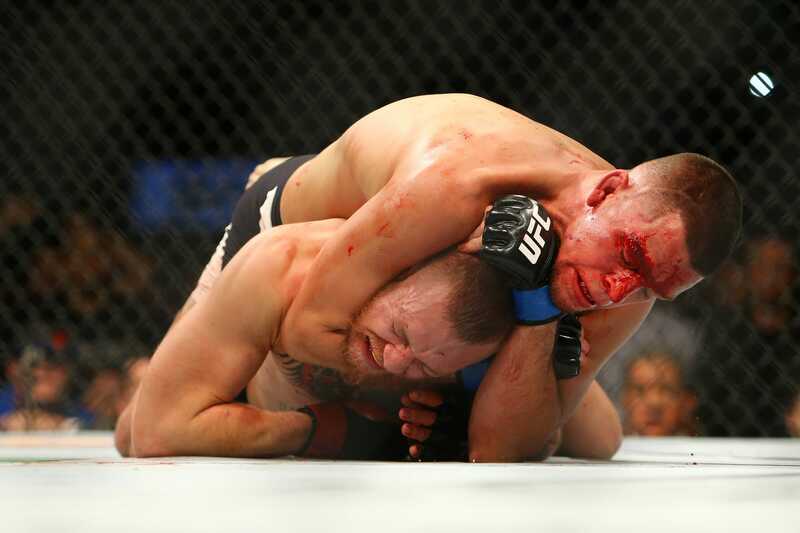 Getty ImagesThe last time McGregor lost a UFC fight was against Nate Diaz on March 5, 2016, by submission in a rear-naked choke. Lightweight contender Dustin Poirier, who lost to McGregor in a featherweight fight four years ago, is also siding with Nurmagomedov. “I’m kind of leaning toward Khabib,” Poirier said this week on The MMA Hour. “I’m thinking he’s going to get the victory,” Poirier added, noting Nurmagomedov’s wrestling nous and physicality. The fight will be Nurmagomedov’s first defence of the title he won for beating Al Iaquinta at UFC 223, in April, a belt that had previously belonged to McGregor but one he had been stripped of because of inactivity.